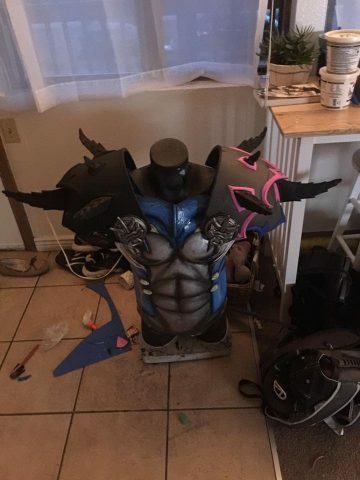 Pokémon Gyarados Armored Costume Is Ready for Battle « Adafruit Industries – Makers, hackers, artists, designers and engineers! Given how Pokémon are always being hunted, it makes complete sense for them be armored and protected. 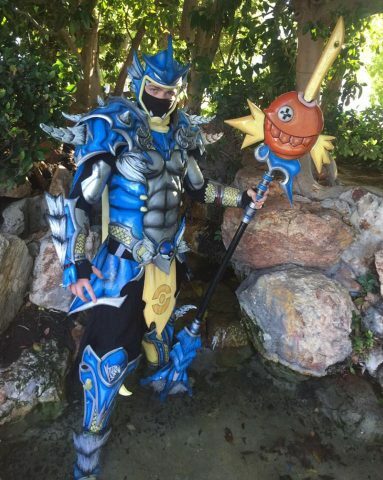 Sabre Grove Cosplay & Props pursued that train of thought with his design for his Gyarados costume. He came up with armor for the water/flying pocket monster and sculpted and crafted it from the ground up. 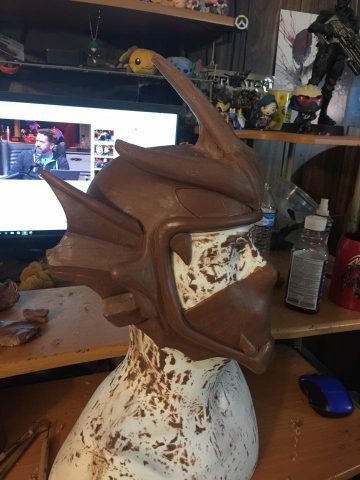 The helmet was initially crafted from clay (you can see a photo below), and the armor was constructed from foam. Visit Sabre Grove’s Facebook page to see more pictures of Gyarados and other costumes.